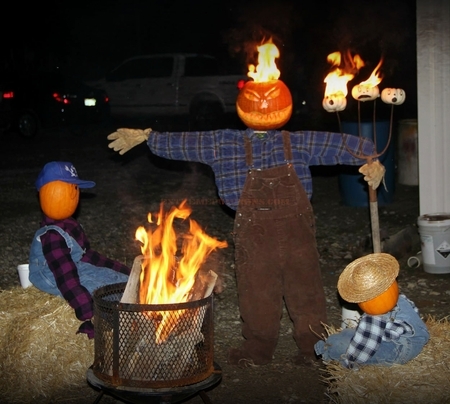 These pumpkins seem to be having a jolly old time at the fire pit. But what exactly is going on here? 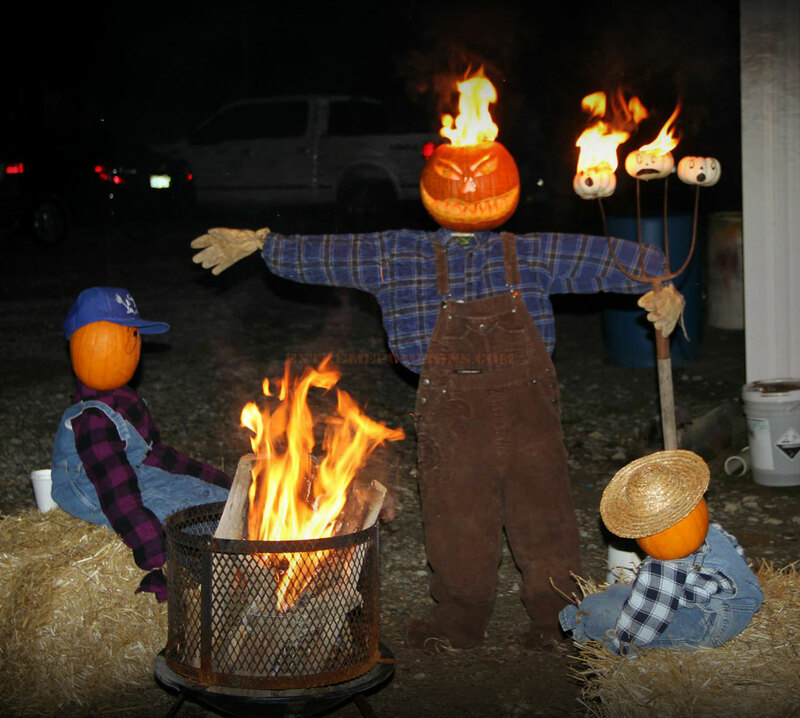 The one guy is skewering and burning his smaller mates. Unfortunately for him, Karma is a bear and it has caused his own cranium to be set ablaze. Ouch.